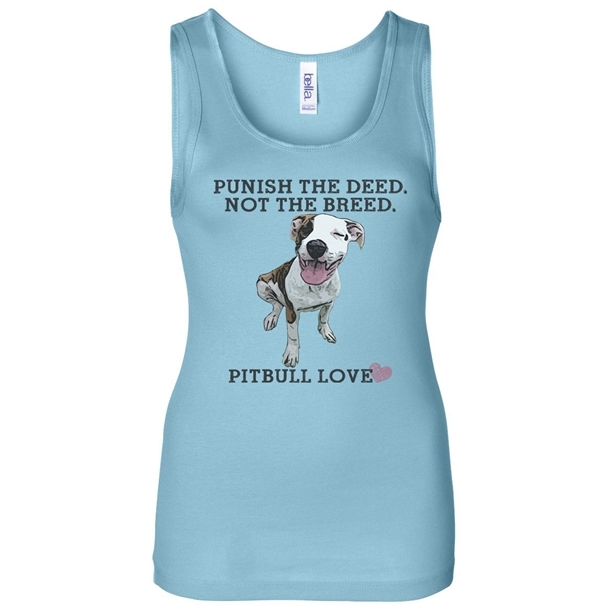 Show the world your love of Pit Bulls with this cute sky blue tank top that says "Punish The Deed Not The Breed Pit Bull Love". With a flattering fit and a scoop neck, this tank top is a must have for any Pit Bull person. 98%/2% combed ringspun cotton/spandex, scoop neck and pre-shrunk.